The student hears a word pronounced 3 timnes. Then he clicks on the word in the speach bubble that he heard. It is a challenge! If he guesses wrong, he gets audio feedback üh-oh! 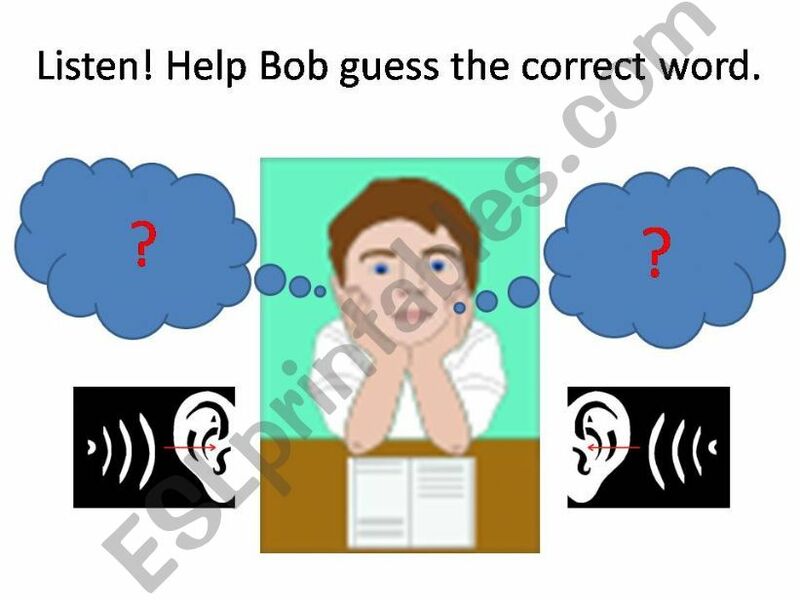 If he clicks on the correct word, he is cheered by voices saying YaY! Minimal pairs are those words that vary by one sound, e.g. feet-fit, bean-bin. Inspired by an elegant PowerPoint point game on minimal pairs by Zailda, I created this one. I hope it is useful.